Digital Radiography (DR) is a form of X-ray imaging, where digital X-ray sensors are used instead of traditional photographic film. This technology bypasses chemical processing and affords the ability to digitally transfer and enhance images. 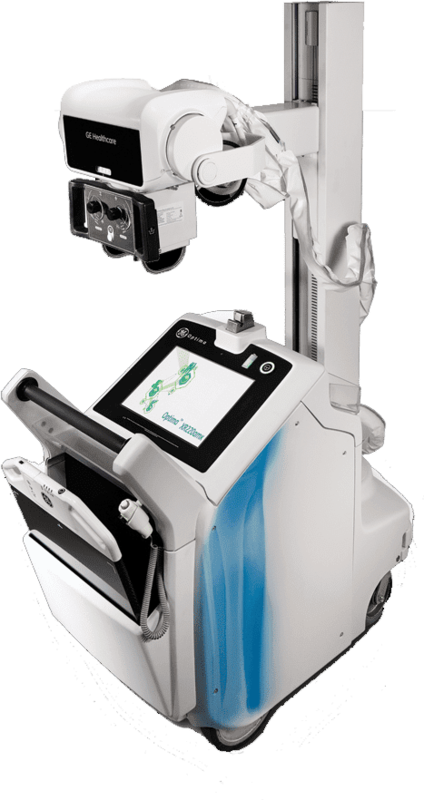 DR technology minimizes overhead by improving workflow and increasing productivity. Patient satisfaction scores increase with decreased patient wait and scan times, and physician satisfaction increases with better image quality. More importantly, both patients and employees benefit from less radiation exposure. There are several factors to consider when choosing Digital Radiography (DR) technology. Is DR appropriate for your facility? Should you choose a flat panel detector or a charge-coupled device (CCD) camera? Is indirect detection or direct detection better for efficiency optimization? Shared Imaging provides DR technology from the OEM of your choice and we can customize the solution to suit your clinical needs. If you are looking for the latest in technology or prefer a trusted workhorse – Shared Imaging can provide you with a mobile, modular or in-house configuration. Get the right technology – in the right place – at the right cost. What does your ideal DR solution look like? There are plenty of questions to consider when developing your ideal DR solution. Do you need the latest in technology or a more reliable system to handle patient demand? Are you going to place the system in-house or place the system in a medical coach? What are your procurement options; is capital available? How about your staffing needs; can you self-staff or not?